Maya loves contests, so she is excited when her teacher announces they will plant a school garden like Thomas Jefferson’s garden at Monticello—and they’ll have a “First Peas to the Table” contest, just like Jefferson and his neighbors had each spring. Maya plants her pea seeds with a secret head start—found in Jefferson’s Garden Book—and keeps careful notes in her garden journal. But her friend Shakayla has plans of her own for the contest. 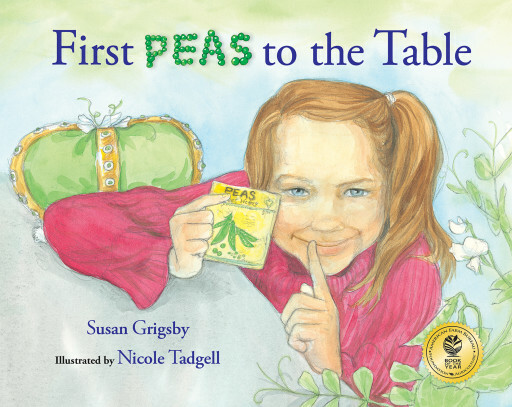 This beautifully illustrated story has a mixture of both fiction and facts about the life cycle of peas…Teachers will find a multitude of ways to use this book and this team’s In the Garden with Dr. Carver. 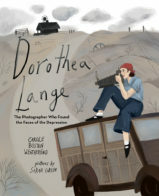 The first-person narrative relates events and Maya’s changing perspective in a believably childlike voice, while the pencil-and-watercolor illustrations capture the story’s tone as well as the characters’ emotions. History, science and a guidance lesson all rolled into one, this could surely be the spark for many a school garden. 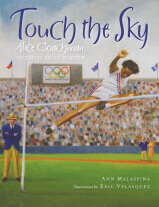 This picture book seamlessly meshes together a little science, a little history, and a strong storyline. 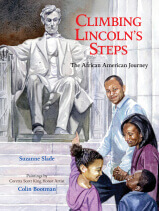 Susan Grigsby is a children's book author. She lives in Missouri, with her husband. 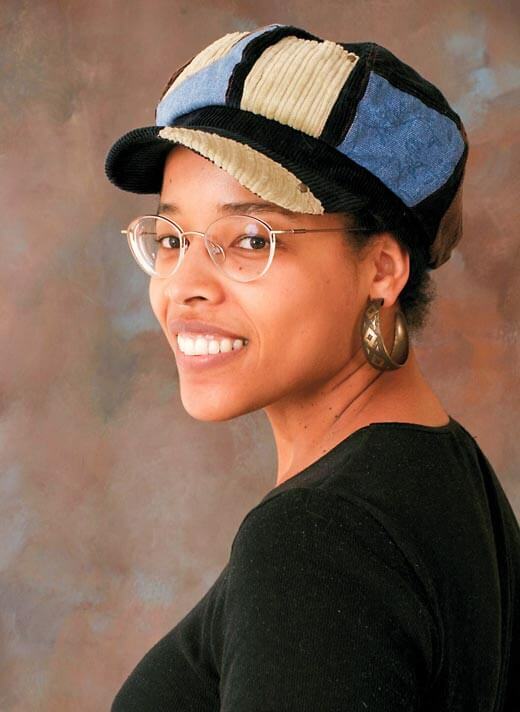 Nicole Tadgell is an award-winning illustrator. She lives in Massachusetts. 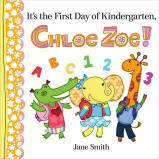 It's the First Day of Kindergarten, Chloe Zoe! Is a Blue Whale the Biggest Thing There Is? What's So Special about Planet Earth?